Flax seed is beneficial in heart disease, digestive problem, cancer and diabetes. Flax seeds are very nutrients and help to avoid many diseases. It is full of fatty acid omega – 3. It also has high amount of fiber and Lignes. The regular consumption of flax seed is beneficial to avoid man disease. Weight: The consumption of flax seed before meal gives satisfaction. Therefore, obese people don’t like to eat more. It is beneficial to reduce weight. Cancer: The consumption of flax seed avoid breast, prostate and stomach cancer. Flax seed contains omega – 3 fatty acids that avoid cancer. Diabetes: The consumption of flax seed three times in a day is beneficial for type 2 diabetes patient. The flax seed use for one month balances the blood sugar level. Blockage: Flax seed reduces the bad cholesterol level in the body. It also avoids blockages of vein. 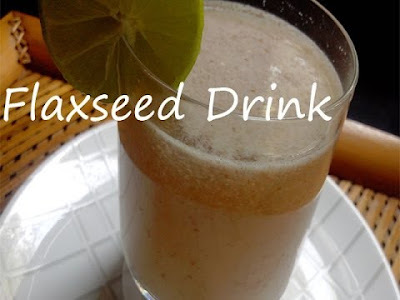 Flax seed improves the bone density therefore; it is beneficial in osteoporosis and gout. Stomach: Flax seed has high amount of fiber. It avoids stomach problem. Women: Flax seed helps to women when they get more heat during menstrual. This seeds also helps to avoid pre menopause symptoms.